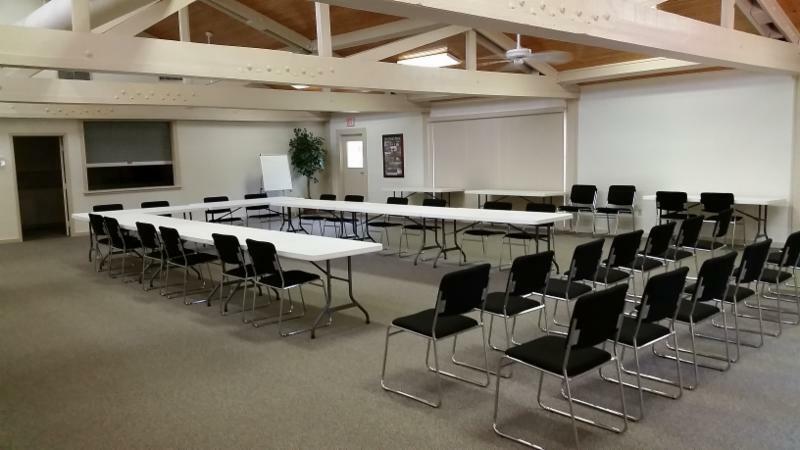 The next South Woodland Hills Village Community Association meeting is December 10, 2018 at 7pm in the community room. We welcome all residents to attend. 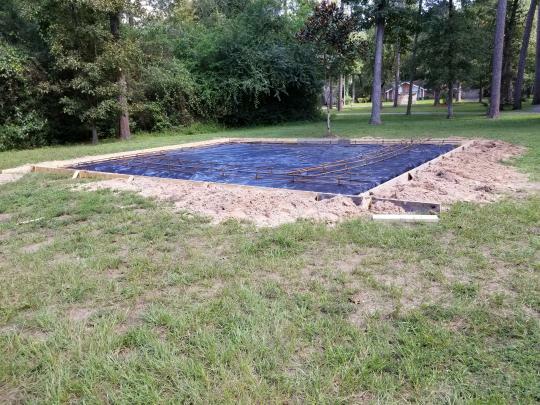 South Woodland Hills Village Community Association has been exploring adding a four table picnic pavilion to an area near the South Woodland Hills Pool. 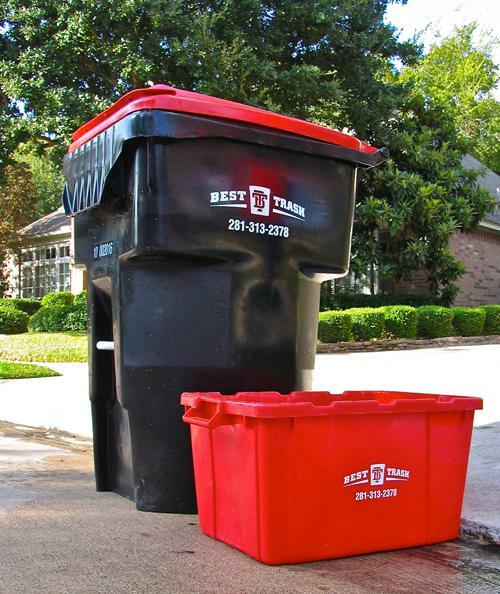 This project has involved several years of planning and working with contractors and the City of Houston permitting department. This amenity will be constructed and maintained by the SWHVCA in cooperation with the Woodland Hills Village Trails Association. 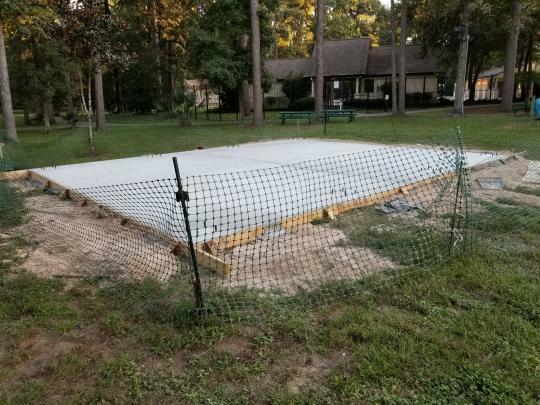 Construction began on the picnic pavilion in the fall of 2018. It will be similar in size and appearance to the one in the last photo at Deer Ridge park. We hope to have it open by the end of December. The pavilion will have the same rules as the neighborhood parks. It will be open from dusk to dawn, no glass containers or alcoholic beverages allowed and covered by 24/7 video monitoring. 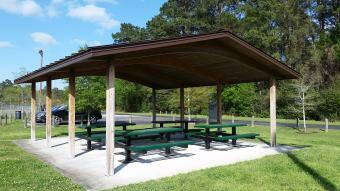 No reservations will be made for use of the pavilion. More information will be available on the Parks & Trails page at southwoodlandhills.org.